Earlier this year, Fleet Pond Society and Hart’s Countryside Service together purchased two tern islands. 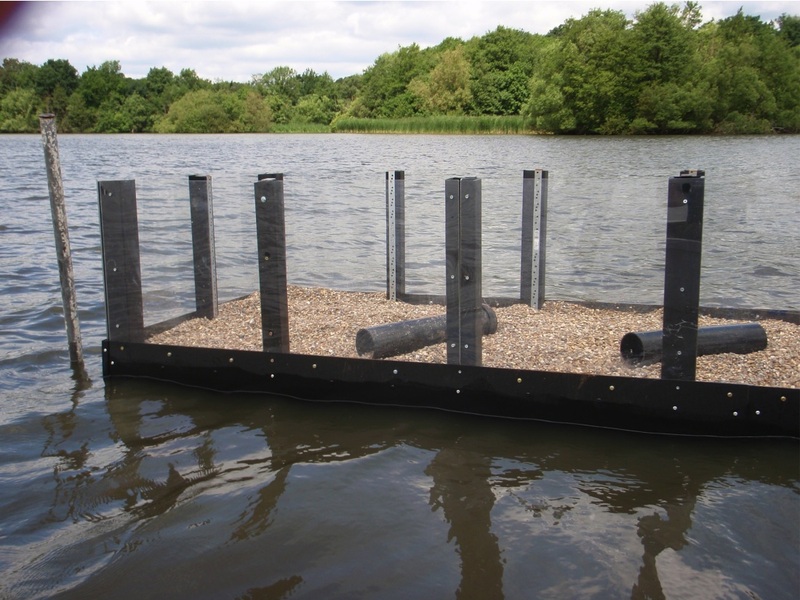 These artificial islands, made from 100% recycled plastic, provide the terns who visit the Pond with somewhere to nest. 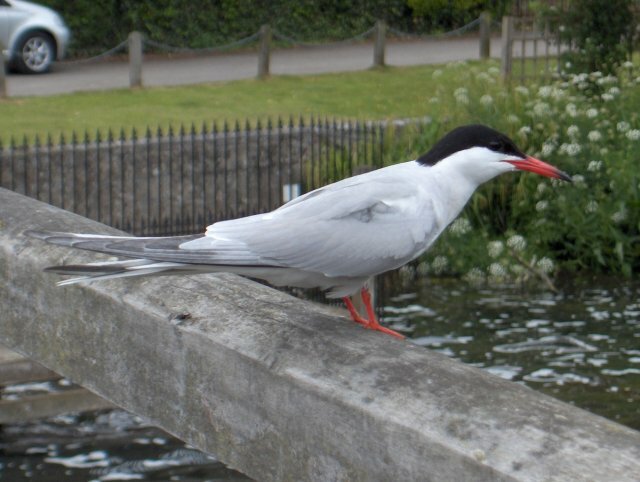 Common terns (pictured above, picture credit here) are summer visitors to Britain and the rest of Europe, spending winters in the tropical regions of West Africa. They arrive here in April to breed, and feed on fish and crustaceans. The islands at the Pond are filled with gravel which the terns create small depressions in, line with soft material, and lay their eggs. The clear plastic walls around the island prevent any predators getting to the chicks. The good news is that these islands have already been used this summer by a few pairs of terns, despite only being put out on the Pond in June. This is very encouraging news means that next year we expect even more of these birds to be using the islands to rear their chicks. 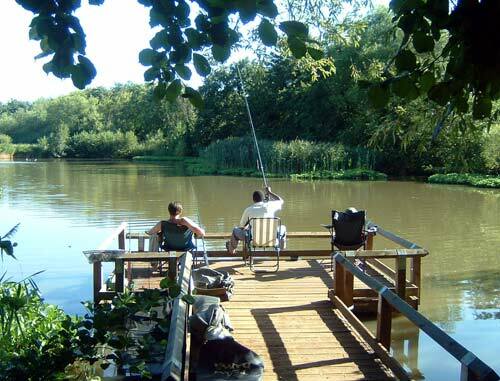 There was a considerable reduction in the number of butterflies normally seen at Fleet Pond Nature Reserve in 2007. With the cold, dull, wet and windy weather, the number of sightings in 2008 has not been much better. 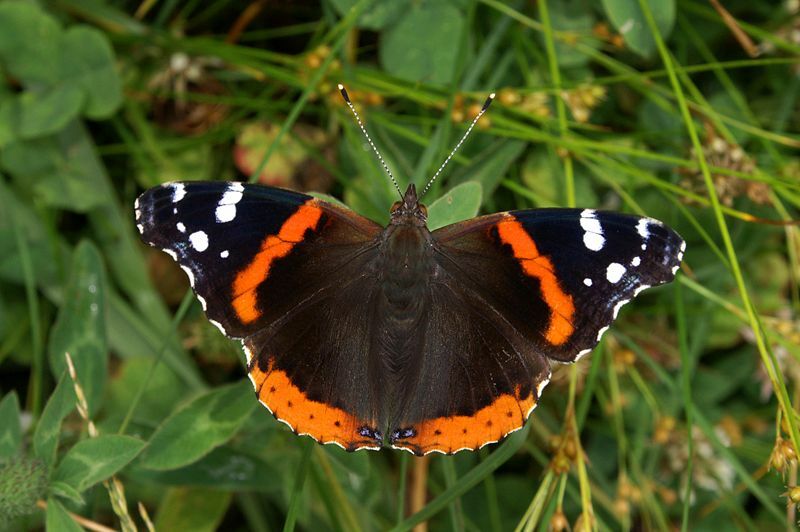 Mid-October has produced a few warm and sunny days, however, resulting in the appearance of a number of Red Admirals (pictured above, picture credit here). Until recent years the autumn brood was normally killed off by our hard winters but milder weather has enabled some butterflies to survive. Last year, the Hampshire and Isle of Wight Branch of “Butterfly Conservation” had records of them being seen in all twelve months of the year, so keep your eyes peeled if you are walking round the Pond and you may see them even during the winter. Some other members of the Nymphalidae family of butterflies such as the Peacock, Comma and Small Tortoiseshell hibernate during the winter months, but may be encouraged to wake from their slumbers if we get some reasonably warm, sunny days. These and the yellow Brimstone butterflies may also be seen within the Reserve during the winter months. Peter Martin is the President of The Fleet Pond Society and is a local expert on butterflies. Peter will be providing a series of ‘Butterfly of the Month’ articles from April to September next year. Further information on butterflies can be found here. 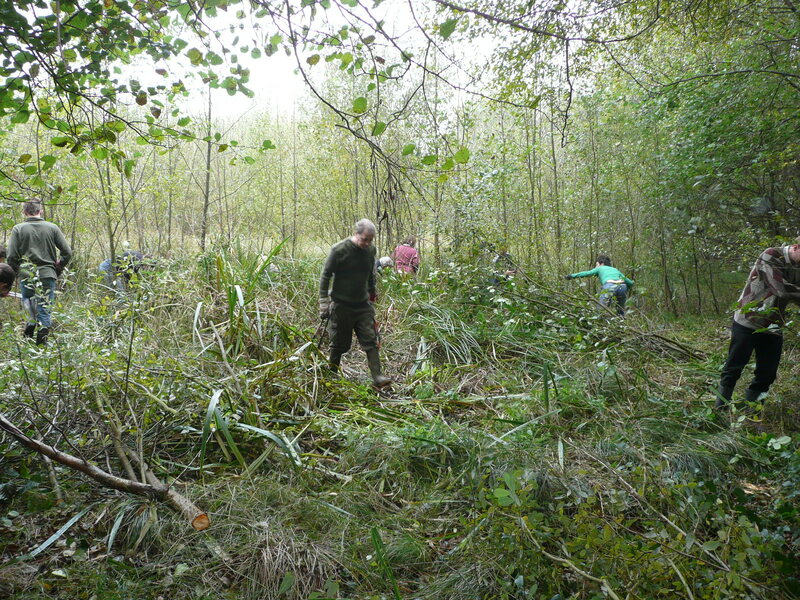 Hart Countryside Service has recently been carrying out heathland restoration at Fleet Pond as well as restoring a valuable area of marsh and reedbed. Local Contractors JDB were at the Pond for a week in September carrying out the important work. 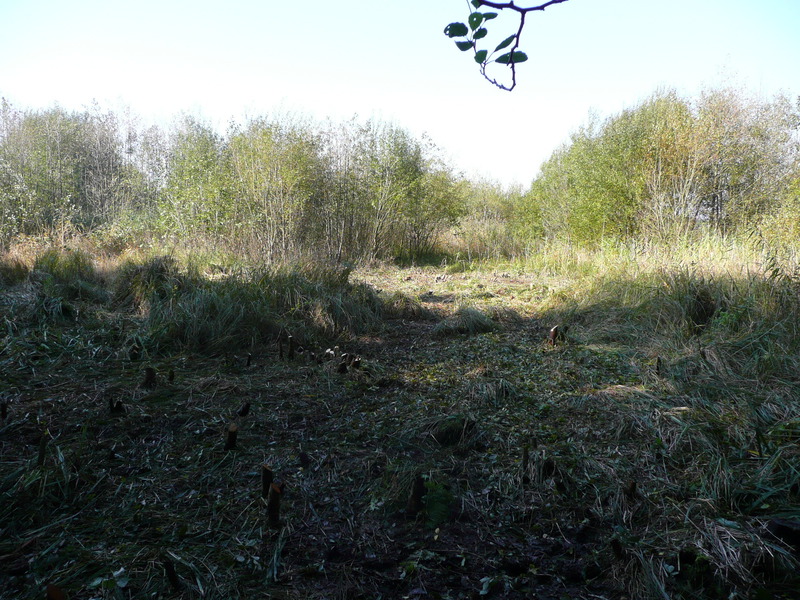 Large areas of heathland, marsh and reedbed have been lost at Fleet Pond due to the encroachment of trees and scrub. 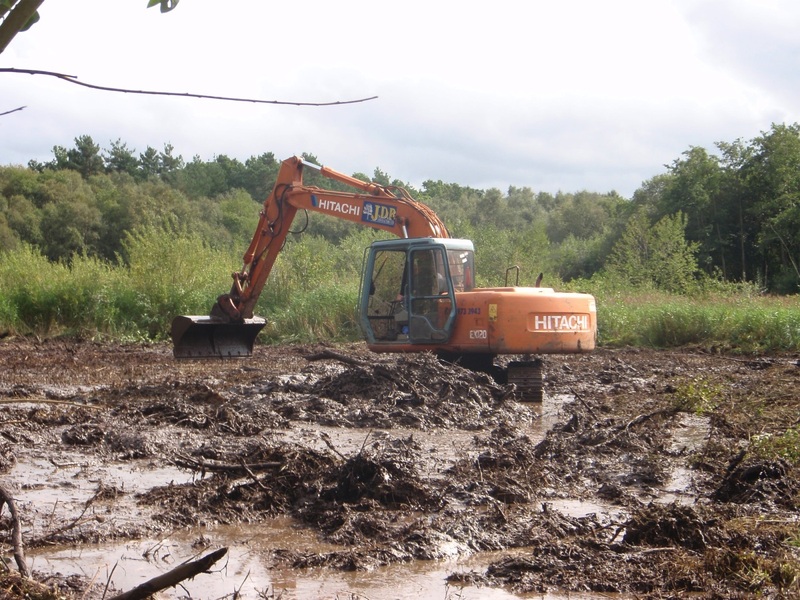 In the marsh, the restoration process involved getting rid of the dense scrub and then scraping the top layer of soil off to expose the dormant seed bank underneath. Previous scrapes in the marshes have been very successful with some plant species that have not been seen at Fleet Pond for 30-40 years reappearing. By next spring/summer, this newest area will have more of these important species growing on it, some of which are rare in Britain or are internationally threatened. 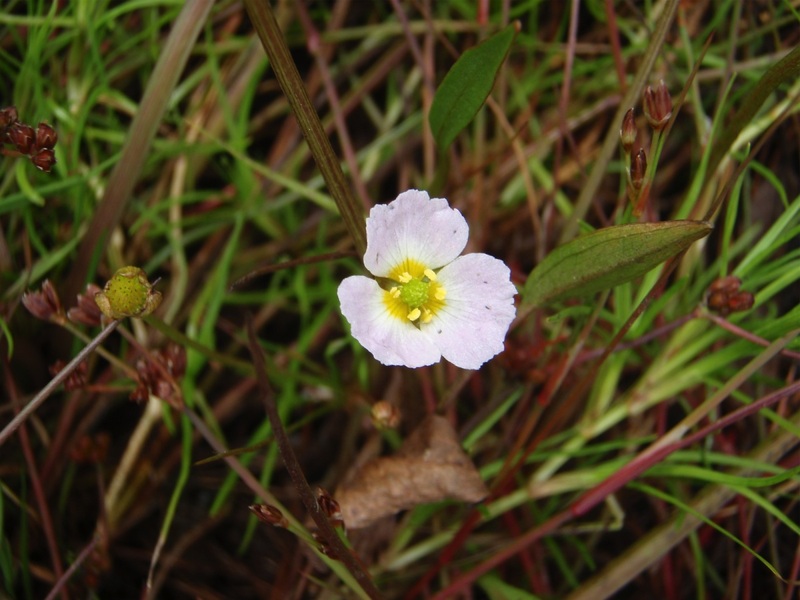 Picture: Lesser Water Plantain, one of the rare plants in the pond marshes. 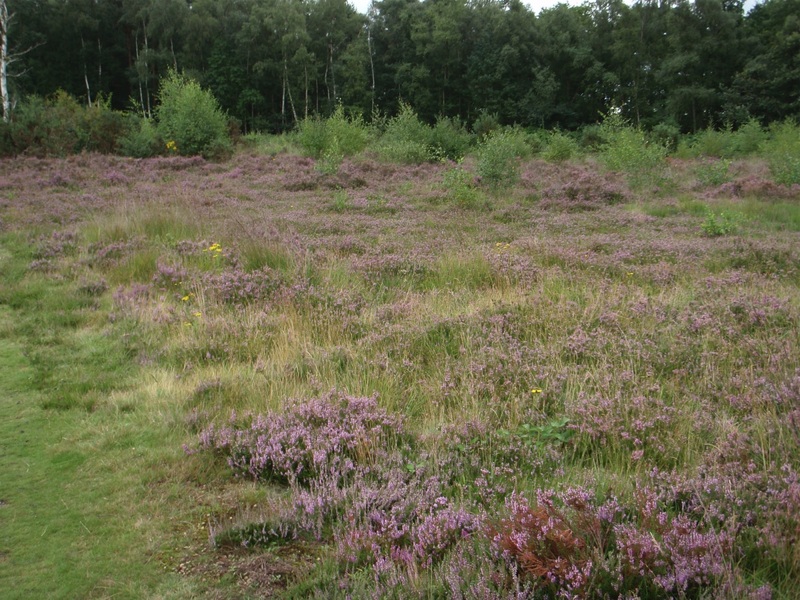 The scraped area on the dry heath will also have new shoots of heather and other heathland plants pushing through the soil by next summer, further extending this valuable and rare habitat. Fungi Alert! What Is This? There is some weird and wonderful fungus to be found nestling in the undergrowth and growing on trees at this time of year. 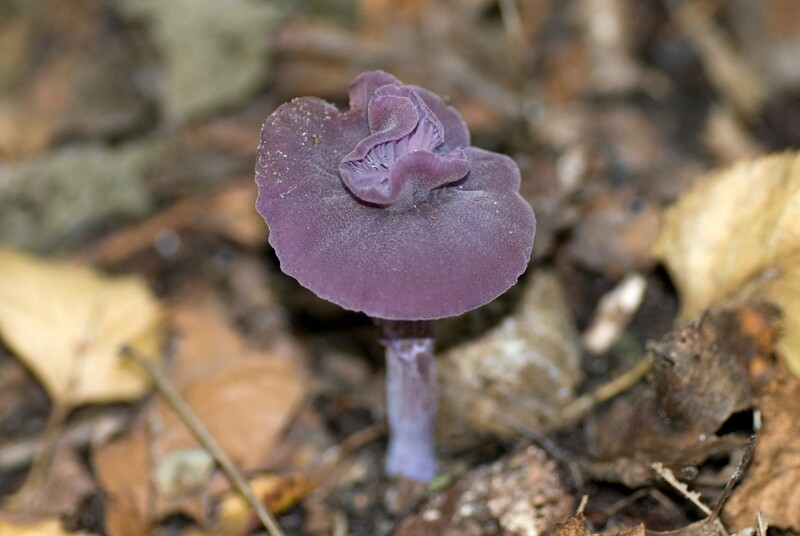 Walking around the pond this afternoon, I noticed lots of small, purple coloured fungi growing amongst the leaf litter, particularly along the path by Coldsteam Wood. Michelle is the Secretary of The Fleet Pond Society. Please use comments box below to provide feedback – we’d like to hear from you! Pictures taken at the volunteering event for October 2008. Quite a difference! 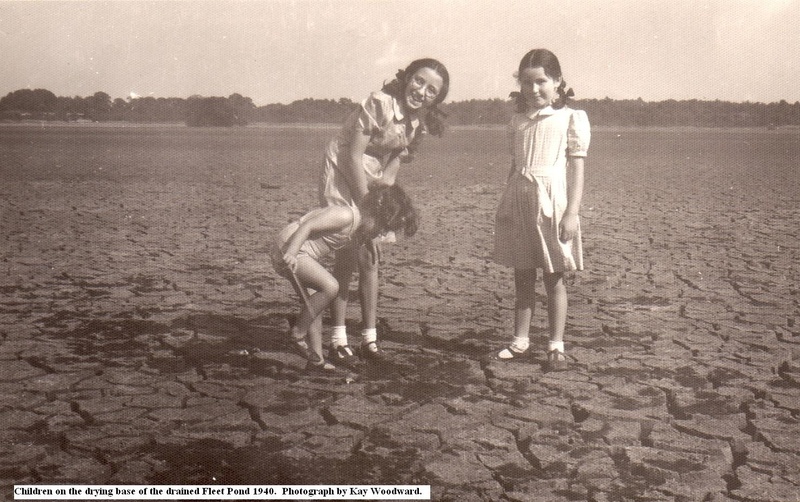 You are currently browsing the Fleet Pond Blog blog archives for October, 2008.